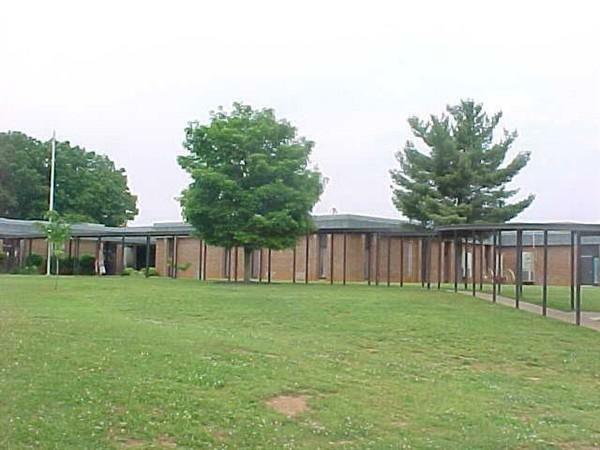 The first Mosheim School, which was built after the Civil War, was located on the adjacent hill west of its present location. It existed under names which included Mosheim Institute, Mosheim Male and Female Institute, Holston Synodical College, and Mosheim College. The school was owned and operated by the Lutheran Church. The name "Mosheim" was given to the school in 1870 in honor of the renowned German Theologian, Johann Lorenz Von Mosheim. Each day school opened with prayer and scripture reading, followed by commentaries on religion and morals. Very strict rules were observed. The attendance of Sunday School was a must. Lights were to be out in the dormitories at 10:00 P.M. Girls and boys were not allowed to speak to each other as they passed going to and from classes. By 1890, the school needed more space, so a contract was awarded to build a larger three story building. This was located where the "Old Mosheim High School" stood before it was torn down in 1973 to make room for the present elementary building. In 2003, the building once again saw a transformation. Thirteen classrooms, gymnasium, science lab, computer lab, library/media area, lunchroom, and administrative offices were added. This added over 49,000 square feet to the useable space. The two-story building was converted to house art, music, CDC, and ESP. PreK also was added into the former Kindergarten building. Today, Mosheim Elementary/ Middle serves pre-Kindergarten through Eighth grade students with a diverse population from a broad socioeconomic range and broad geographic area. Mosheim's enrollment continues to increase. Rising enrollment can be attributed to industrial growth in the area. Our school serves over 1100 students in Pre-Kindergarten through Eighth Grade.